In Tanzania, Cuso International deals with helping citizens to attain Inclusive and Sustainable Economic Growth (ISEG) and improved Access to Quality Health Services (AQHS). 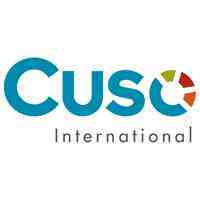 Cuso International has been working with partner organizations in Tanzania since 1963 to bring together people from different cultures and backgrounds, enabling them to share skills and knowledge with various beneficiaries. This placement will support the efforts aimed at strengthening the capacity of the Agape Aids Control Programme (Agape) staff in the area of Gender Equality and Social Inclusion (GESI). The GESI Advisor will play an important role in supporting Agape’s staff and program team in addressing the gender inequality issues prevalent in Shinyanga, Tanzania by using the GESI strategy to provide recommendations. Agape plays a specific role in supporting Tanzanian females who experience gender-based violence (GBV), as well as child, early and forced marriage (CEFM). In 2009, AACP came to realize that violation of Human Rights in the Community was a problem. Since then, AGAPE started working on four core programs which are; HIV/AIDS control and prevention, Child and Youth Protection, Legal Aid Services provision, and Prevention of Gender Based Violence, Child marriages and pregnancies. These core works contribute to the attainment of their Mission which is “to empower the Community to challenge Human Rights violation by strengthening their capacity to improve their resources of Income and reduce poverty, HIV/AIDS transmission, GBV prevalence, Child abuse and advance its mitigation measures “and the Vision is “to see the Community is free from Human Rights Violation and discrimination where Orphans and Vulnerable Children, Domestic Workers, Women, Youth, PLWHAs and the Community at large live harmonious happy life and Dignity”. Enhanced community especially women, youth, children and the old with capacity to access legal aid services, reduce incidence of HIV/AIDS and its impacts, income generation and abilities to prevent human rights violation in six districts in Shinyanga and Tabora Regions by 2022.